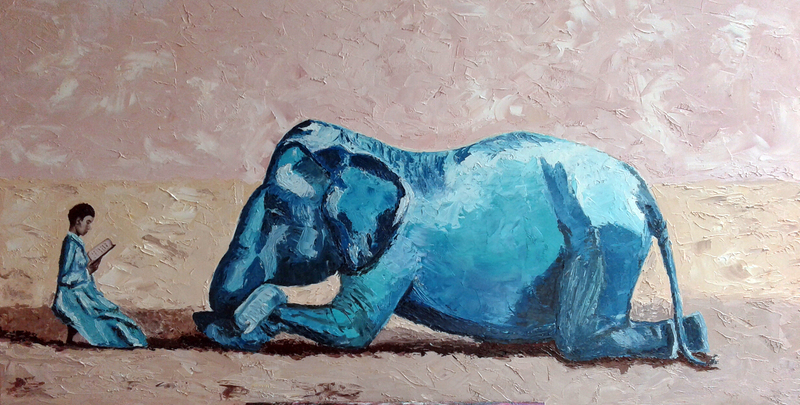 As I love elephants this painting came straight from my heart. With this one I want to show the great wisdom of this marvellous animal. This painting is made with oil paint on canvas. I used a pallet knife. Size is 50 x 140 cm (20 x 55 inch).